For this weeks challenge, I’ve chosen two parallel bridges in the city where I live. Bridges are essential constructions, which are often taken for granted, although most of us need to cross them on a daily basis. A bridge is a very useful building, because it helps us overcome obstacles in our journeys, such as water or valleys. Symbolically, bridges convey positive mental images, such as assistance, understanding, advancement, progress, safety, etc. Roman Bridge in Córdoba, Spain. The greatest bridge builders of antiquity were the ancient Romans, who built arch bridges which are still standing, such as the one in this photograph I took on Friday. It is the Roman bridge in Cordoba, Spain, which is still used and admired, by both tourists and local dwellers. Miraflores Bridge in Córdoba, Spain. 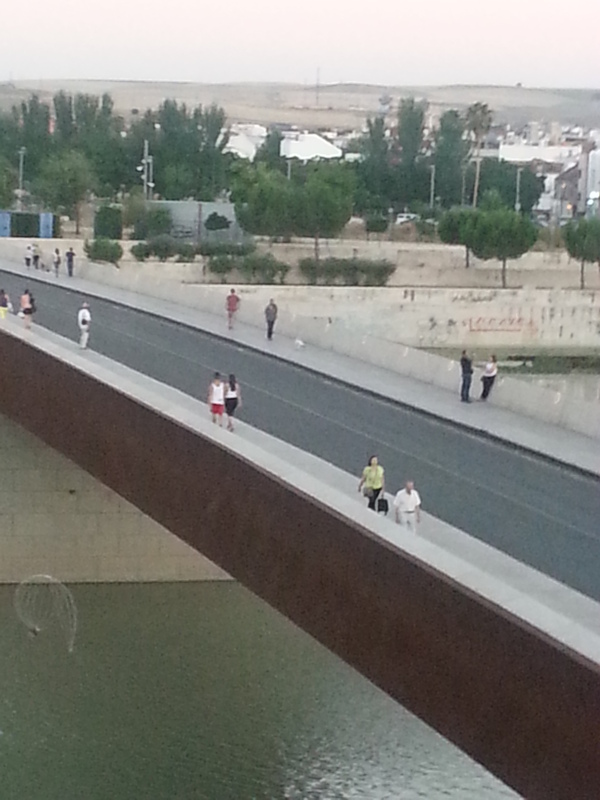 Their parallel lines face each along the ‘Gualdalquivir’ river. A striking contrast of straight lines from different centuries bringing together two sides of a busy town. Very cool straight lines for this week’s theme. Thanks for playing. Awesome! We get to see a little of Spain in your photos. 🙂 Nice indeed! I’ll look into my mail right away.